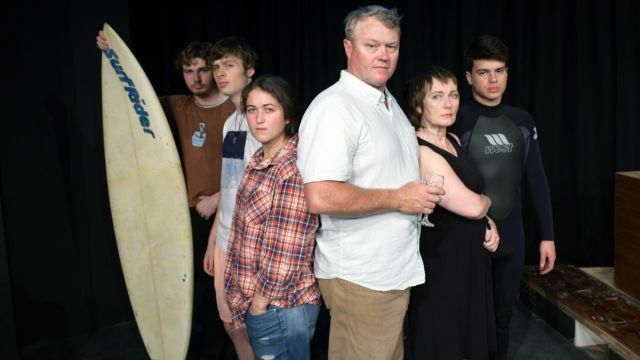 A MOVING and sometimes confronting play from Tim Winton comes to Melville Theatre (WA) during February 2019. In 2013, she performed in Noël Coward’s Hands Across The Sea at Melville Theatre and A Conversation at the Old Mill Theatre, winner of the 2013 Milly Award for best play. 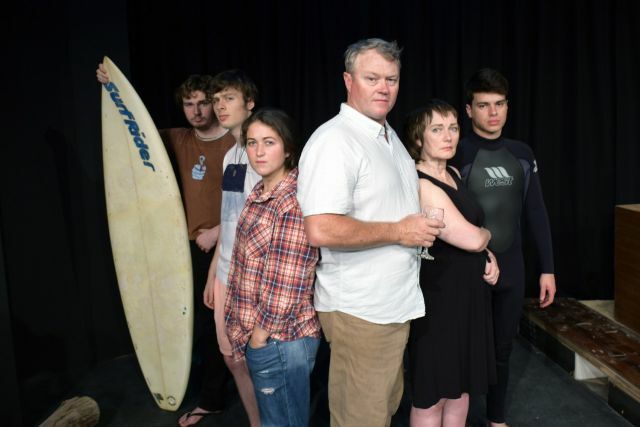 Images: The cast of Tim Winton’s Shrine features Jacob Lane, left, Alec Fuderer, Jessica Brooke, Phil Barnett, Suzannah Churchman and Chris Colley; Tim Winton’s Shrine is set on WA’s south coast and features Chris Colley, left, Jacob Lane and Alec Fuderer as surfing buddies: and June (Jessica Brooke) reflects on the death of Jack (Chris Colley) in Tim Winton’s Shrine.